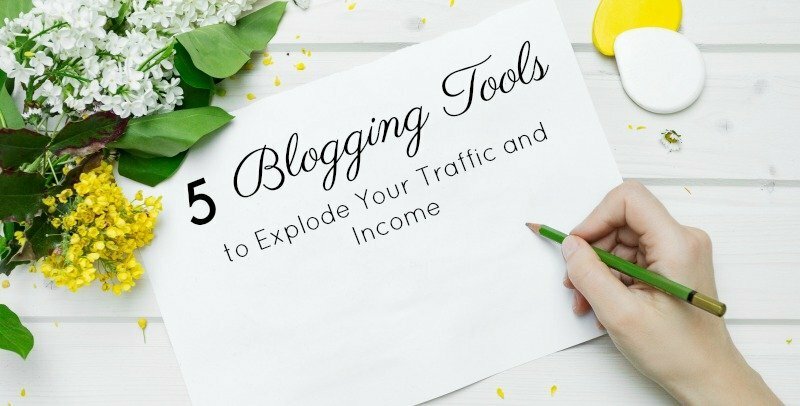 These 5 blogging tools will help to explode your blog traffic and income. Take your blog to the next level by incorporating these tools and resources right away. I’ve been blogging for income for two years. Granted, the first year and first blog were rather unsuccessful. Ok, I’m embellishing. It was a bad year. But, the wonderful thing about failure is that you learn from it. And I learned a lot. Instead of backing down and giving up on my dream of working from home and owning my own business, I made an effort to learn from my mistakes and pinpoint what went wrong. This time around, I’m taking my business seriously. I am investing in blogging tools that make my life easier and help me stand out amongst an overpopulated sea of blogs. What I know now is that it takes some money to make big money. Last month I pulled in over $7,000 in profit from my blog. 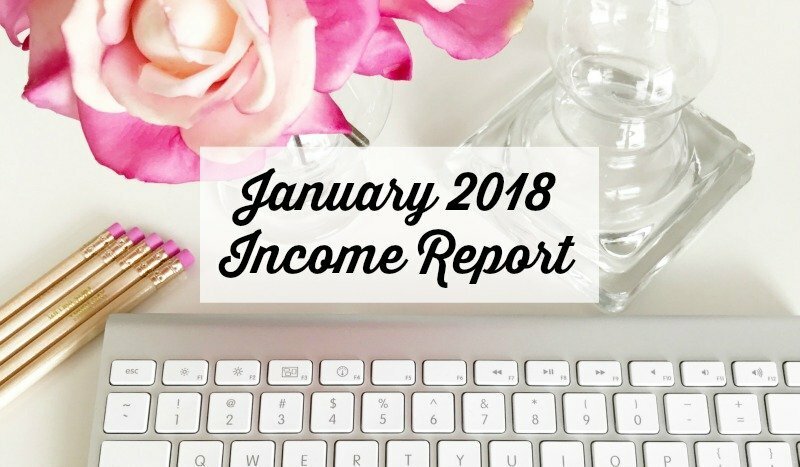 You can see my Income Report here. However, this didn’t happen overnight. And it didn’t happen without a lot of effort and some sacrificing of personal wants. I have given up on fancy coffee and store-bought kombucha and instead put that money towards my blog and business. What I have chosen to invest in are blogging tools that make my life easier as a blogger and bring in loads more traffic. Ultimately knowing that this will eventually afford me many fancy coffees and bottles of kombucha. Or my dream home. A number of the following blogging tools can be used for free; although, some of them you must pay for from the start. But, if you are serious about upping your blogging game, my biggest piece of advice to you is to start investing in your blog as if it was a business. Think about it this way. If you owned a coffee shop and cut every corner to save a dime, what would you have? You would likely have a mediocre shop with mediocre coffee, and because you skipped advertising to save money, you’d barely be getting any customers. But, if you invested in things like advertising and adding some nice decor to your shop, you could become the next hottest coffee shop in town. It may not seem like the most beneficial course of action right away. You have to put money down up-front for little return. But, with these tools, you will start to see results fairly quickly and the payoff will be great. The first tool you need is a self-hosted WordPress site. WordPress is by far the most superior blogging platform currently available. If you want to work with advertisers and become an affiliate for many brands, one of their requirements is that you have a WordPress site. While WordPress can seem intimidating at first, it’s a breeze to use once you learn the basics. You can get hosting for as low as $3.95/mo with Bluehost. That’s equivalent to giving up just one fancy coffee, takeout lunch, or energy drink per month. And as your brand grows you won’t have to deal with the pressure of switching platforms or transferring your free WordPress site to a self-hosted site. Having a self-hosted site allows you to take your branding to the top level, which is a must if you want to build your blog into a profitable business. Also, plugins aren’t available on free WordPress sites, and there is one on this list that you will need to have. Yoast SEO is a WordPress plugin (only available on self-hosted websites) that helps you improve your website in simple steps. Having this plugin allows you to create XML sitemaps with the click of a button, create SEO titles, meta descriptions, and ping search engines when you update your website. I try to keep my plugins to a minimum to improve my site speed and to avoid any conflicting issues between different plugins. But this plugin has been a game changer and something will use until I am not longer a blogger…aka until I die. A lot of new bloggers I talk to don’t understand the importance of having an email list. With social media and plenty of messaging platforms, some think email is outdated. But, your email list is gold and you should treat it as such. Your email list is composed of the people who trust and respect you most. They are the people that will be the first to buy your product or sign up for your service. So, having a reliable and easy-to-use email client should be at the top of your priority list. 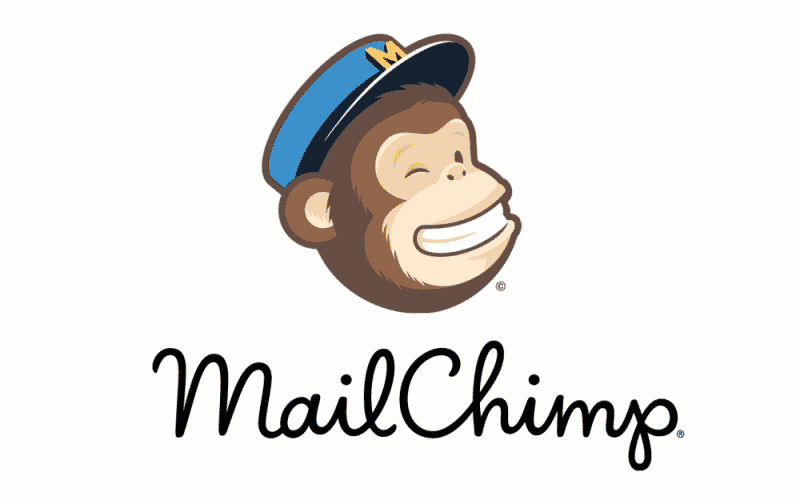 Mailchimp is one of the more affordable and still high-quality email clients. If you want to start with a premium email client like ConvertKit, you’re going to pay over $25 even if you only have 5 email subscribers on your list. Meanwhile, you can use a Free Mailchimp account until you reach 2,000 email subscribers. After that, you must pay a monthly fee based on the number of subscribers you have. But, if you have a product and you market it to your email list, this fee can easily be justified with just a couple sales a month. And, the monthly fee is still much less than ConvertKit’s. With Mailchimp, it’s easy to set up an automation campaign, segment it by groups, and schedule it to go out at specific intervals. The email templates are beautiful and have a very simple drag and drop design. And you can create landing pages for subscriber signups, products, and more. The process requires very little technical knowledge, and if you do ever get confused, they have a huge learning base with tons of step-by-step tutorials and tips. The forth blogging tool I can’t live without is PicMonkey. It’s a photo editing and graphic design website. The majority of my traffic comes from Pinterest. And without PicMonkey, I wouldn’t be able to create branded long Pins. Surely, there are free design programs like Canva that you can use. But, PicMonkey allows you to use your own fonts, create transparent background Logos for image overlays, and more. They have a large library of graphics, fonts, image borders, textures, and photo editing tools at your disposal. And, most importantly, the software is user-friendly and easy to navigate. PicMonkey charged $7.99 a month to use their software. But, with the clicks I’ve driven to my website and e-course, I have easily made my money back every month since investing in this tool. As I mentioned, Pinterest is my top traffic referrer. 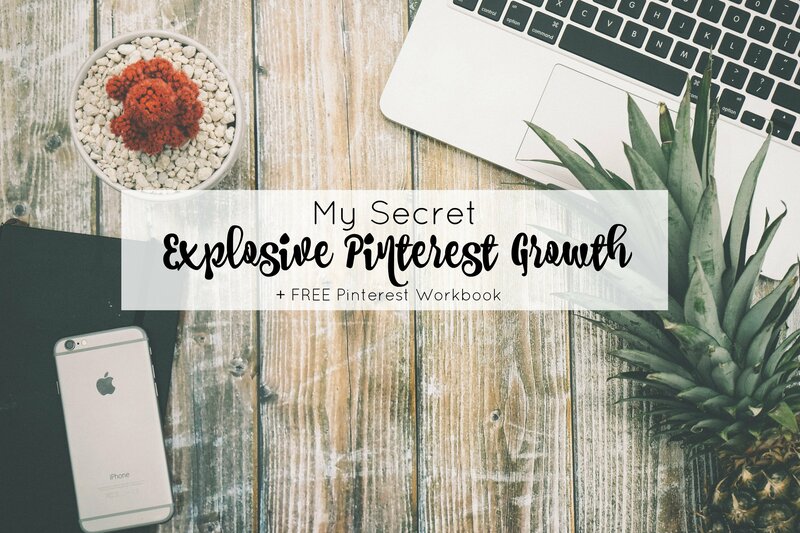 I credit most of my Pinterest traffic to well-designed pins and Tailwind. Tailwind is a Pin scheduling tool that reduces the time you have to spend on Pinterest sharing your content. 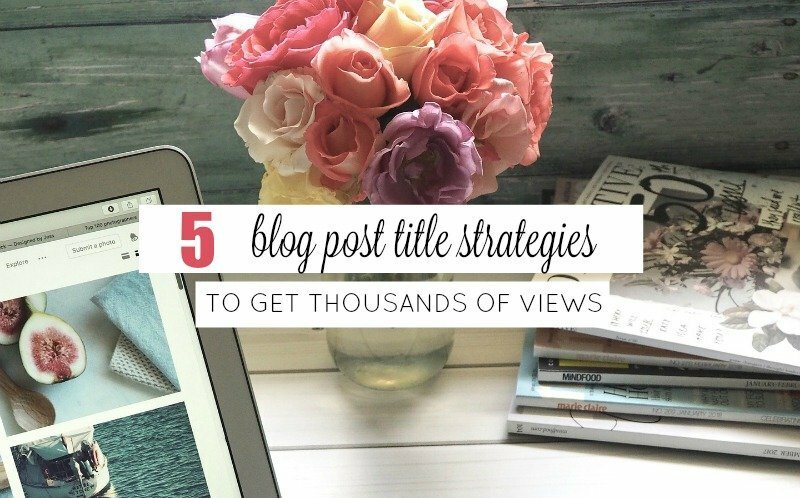 I used to write down the title of my blog post and every board I had pinned it to. Then I would try to make time to go back and pin from older posts a week or so after I had published them. On top of that, I was trying to pin other people’s content three-four times a day. This became exhausting and was taking up precious time that could have been spent creating new content, responding to emails, revising old content, or developing a product. I now have about three weeks worth of pins scheduled at a time. And it only takes me about an hour per week to do this. On top of that, Tailwind optimizes the times that pins go out so they are more likely to be re-pinned. It’s been a game-changer for me, and I can’t see myself blogging without it. You can get a free trial to schedule 100 pins here. After that, if you find that it as helpful as I have, you can purchase a yearly plan or a monthly plan. With the yearly plan, you can schedule unlimited pins every month and your overall cost is about $60 less per year. 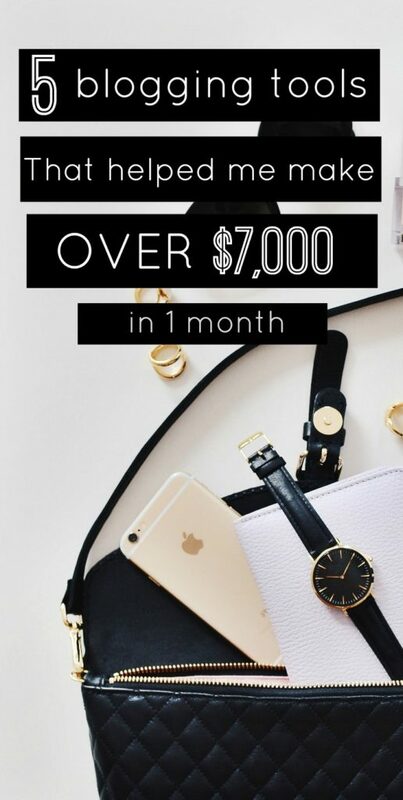 With the monthly plan, you will pay slightly more and be able to schedule $400 pins per month. However, they do have an incentive program to help you get Free months and you can upgrade to the Plus plan at any time. What are your favorite blogging tools? Share with me in the comments below. Want to join the Online Success Community and receive blogging and marketing tips directly in your Inbox? Join here.